I’m just about to head off to do the Burpee Mile with Rita. I’m a little nervous about how I’m going to do, but I’m going to try my hardest. As for Rita, she is just amazing, so I know she will complete the mile, while proving that women can be fit and strong at any age! 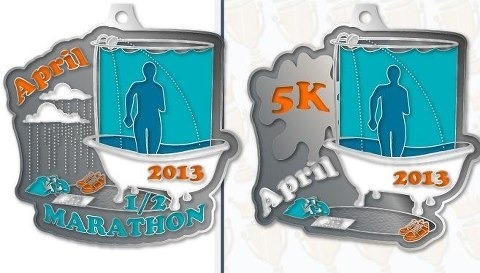 April Showers Virtual 5K and Half Marathon is a special race to help raise funds for a special little girl. She is a special needs child that is living in an orphanage in China, and she is 8 years old and will age out of the orphanage soon. The adoptive family is hosting this race to help raise funds for their soon-to-be daughters adoption. Please say you will help this family and little girl out. 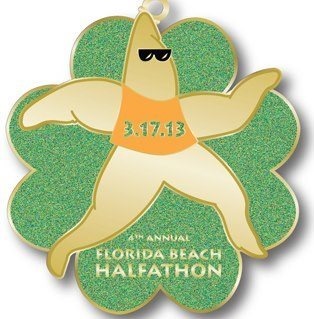 The Florida Beach Halfathon can be run on-site or virtually. I ran their last virtual race, and the medal I got was amazing and huge! Chocolate Zucchini Cupcakes…and guess what other ingredient is in them…Carrots!! Can you believe it!?! I cannot wait to give these babies a try. However, I’m going to change one part of the recipe…They say to use premade/store bought icing. That stuff is toxic, so I’ll make my own. 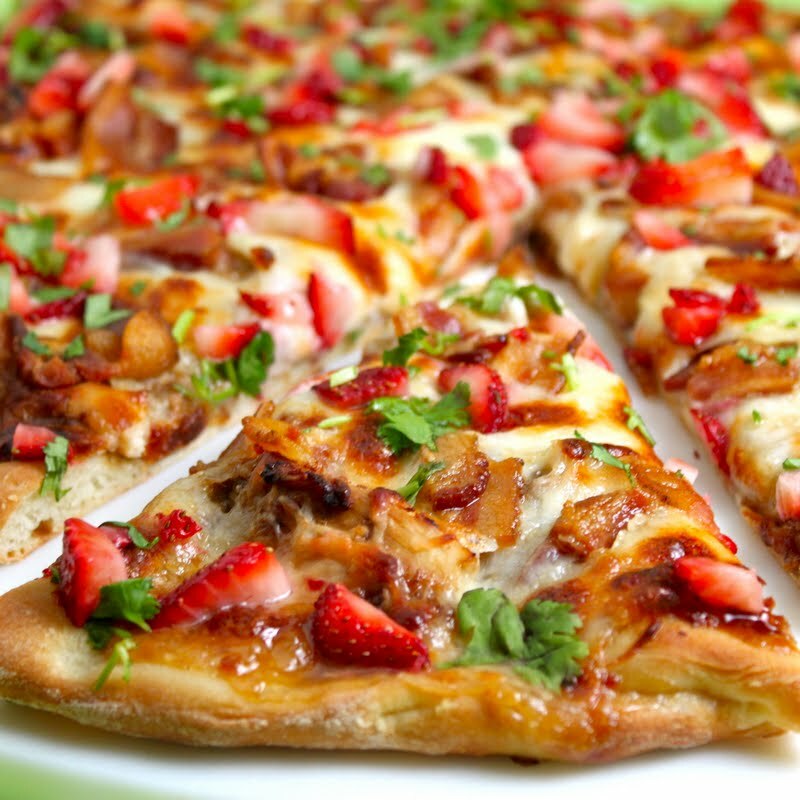 Strawberry Balsamic Pizza with Chicken, Sweet Onion, and Applewood Bacon from Café Sucre Farine looks delicious. I saw this and immediately wanted to try it since it is so different. You should check out their other pizza recipes…they look absolutely yummy! Got crayons? Who doesn’t! 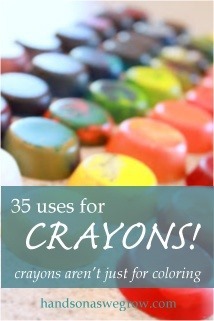 Here are 35 Uses for Crayons! They’re not just for coloring! Create crafty things, be artsy, and even do activities with crayons! She Rocks Fitness has come up with a circuit that will help tone your body. 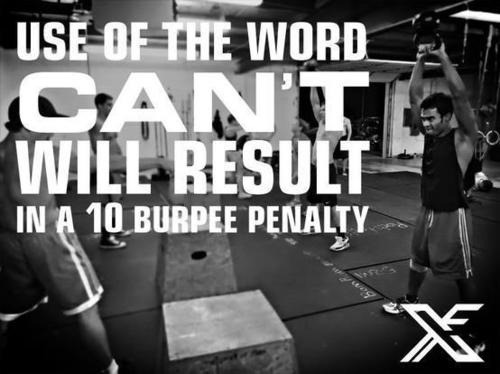 Go to her sight to get the rest of this Work It Off Wednesday workout! This entry was posted in Races, Recipes, Uncategorized, Workouts and tagged april showers virtual 5K and half marathon, burpee mile, chocolate zucchini cupcakes, circuit workout, florida beach halfathon, full body workout, she rocks fitness, strawberry balsamic pizza on March 2, 2013 by fromfltond. I’m going to look into that virtual race. I love the idea of these races, so you can do good no matter where you are ! They are so much fun, and I love how my son can then do them too! I’ll have to check out both of those races and the cupcakes look great. I may need to try making those too! I’m making the cupcakes this weekend. I cannot wait to try them!